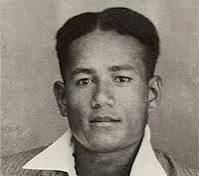 On this day, 23 June, in 1944, on Mawaraka in the Solomons, my grandfather, Sefanaia Sukanaivalu, died a glorious death fighting for his King and country under the banner of the Fiji Military. For the bravery and courage he showed on the day, he was awarded the Victoria Cross, the highest and most prestigious award for gallantry in the face of the enemy that can be awarded to Commonwealth forces. 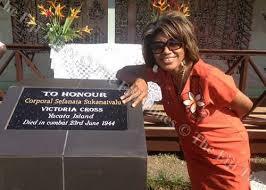 Tua Suka was born on Yacata, Cakaudrove, on 1 January 1918, and joined the Fiji Infantry Regiment during World War II. By mid-1944 he was a Corporal in the 3rd Battalion, which took part in the Bougainville campaign. 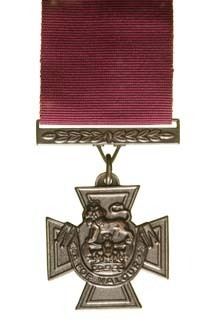 While attempting to rescue members of his platoon, he was shot by the Japanese at Mawaraka, which led to his being awarded the Victoria Cross. No. 4469 Corporal Sefanaia Sukanaivalu, Fiji Military Forces. On June 23rd, 1944, at Mawaraka, Bougainville, in the Solomon Islands, Corporal Sefanaia Sukanaivalu crawled forward to rescue some men who had been wounded when their platoon was ambushed and some of the leading elements had become casualties. After two wounded men had been successfully recovered this N.C.O., who was in command of the rear section, volunteered to go on farther alone to try and rescue another one, in spite of machine gun and mortar fire, but on the way back he himself was seriously wounded in the groin and thighs and fell to the ground, unable to move any farther. Several attempts were then made to rescue Corporal Sukanaivalu but without success owing to heavy fire being encountered on each occasion and further casualties caused. This gallant N.C.O. then called to his men not to try and get to him as he was in a very exposed position, but they replied that they would never leave him to fall alive into the hands of the enemy. Realising that his men would not withdraw as long as they could see that he was still alive and knowing that they were themselves all in danger of being killed or captured as long as they remained where they were, Corporal Sukanaivalu, well aware of the consequences, raised himself up in front of the Japanese machine gun and was riddled with bullets. On my home island of Yacata, Tua Suka’s bravery has been retold over the years, especially among his family members, some of whom including his namesake, Sefanaia Sukanaivalu Nailatimate, later joined the Fiji army. Other relatives including, a grandson, are now currently serving members of the Fiji military. 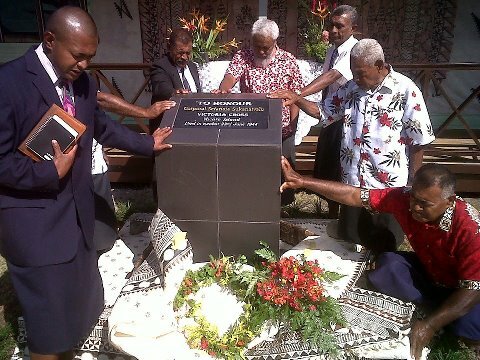 In 2013, a plaque commemorating his gallantry sacrifice was erected in the school grounds named in his honour on Yacata. Yet the once revered reputation of the Fiji military of the days of Tua Suka are now in tatters and the decline will continue unless real and dramatic changes occur at its leadership helm. The ongoing interest in, and foray into, national politics by the Fiji military lies at the heart of its problem. That interest is fuelled by a tragic misunderstanding of its role which in turn provided its misguided and corrupt leadership a potent tool to forcibly insert itself into the national politics of Fiji. In so doing, the military has since become intoxicated with the allure and incessant rewards of power, making it impossible to disentangle itself. Like being caught in quicksand, the more it pigs out on its political agenda, the deeper it sinks into the evil clutches of power. Sadly for Fiji, that political episode has now taken up over a quarter of century of life time and does not look to be receding. What then was Tua Suka and his brave comrades of the time fighting for? Men of his generation had a profound belief of service to their country, their chiefs and people. As a Bati clan on my island, we all took his ultimate sacrifice as a given, something that is often drilled into us by our clan elders. Our role, as is traditional to all Bati, is to safeguard the lives of the people and uphold the chief’s authority. That same belief and loyalty led to my ancestors refusing to join the Tongan warmonger and Enele Ma’afu lieutenant, Wainiqolo, on his failed quest to defeat Tui Cakau at the battle of Wairiki, Taveuni, in September 1862. As a mark of loyalty to our paramount chief, the Victoria Cross medal was in fact handed to the Tui Cakau family for safe keeping over the years. It is the role of the Bati to carry out the chief’s authority on behalf of the people. At the national level, the military performs no different a role on behalf of the elected government of the day. It is not for the military to question or debate the policy or direction set by government. Therein lie the nub of the problem that now besets the current military in Fiji and only a radical resetting of its role can it reclaim its once revered status. Leadership of the Fiji military calls out for a significant overhaul and yet there is now an embedded culture of denial and refusal as a result of having tasted political power. This culture will only worsen as military recruitment now pays more than a tertiary graduate. As well, the skewed loyalty chain ingrained into new recruits will only cement the role of the military as a “political arbiter”. The increasing obsession for cadet training in the school programme of some of the main schools in Fiji, under the supervision and support of the Fiji military, will only serve to promote the same regressive militaristic mindset. It is more than ironic that, in near 30 years, it is the Military that has been the cause of domestic instability in Fiji. Does Fiji need a military for defence purposes? If not, how will the non-military functions (navy, engineers, and youth training) be redeployed? If it does need a military, what for? As a backstop to assist the Fiji Police Force (FPF) maintain order? For peacekeeping? And if so, at what level? Given that the misguided and tragic forays of the Fiji military into the national politics of Fiji has resulted in untold national catastrophe, it is only fair and democratic that the whole population have a say in determining its future. This can be achieved by away of a referendum where citizens can have their say once and for all, over an institution that has terrorized them and inflicted untold hardship on the citizens of Fiji. I for one will be fully supportive of this as it will be one sure way of restoring my grandfather, Sefanaia Sukanaivalu VC, and his legacy and belief in a military that serves the people and is subservient to those elected to represent them. Then, only then, can the Fiji military be cleansed of its sins as a blighted institution led astray by its misguided and politically ambitious leadership to achieve personal and sectional interests.